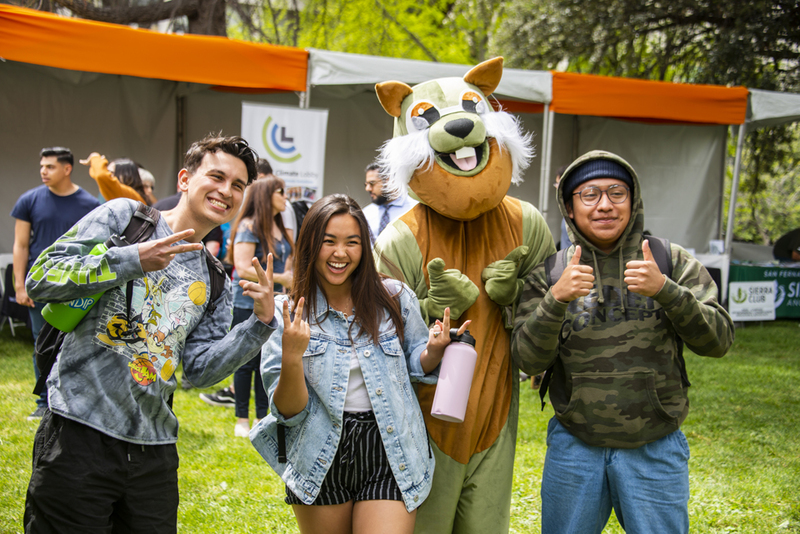 Students visiting Earth Fair were excited for a photo-op with Sunny Squirrel, the hero for CSUN’s new Zero Waste Challenge. Photo by David J. Hawkins. 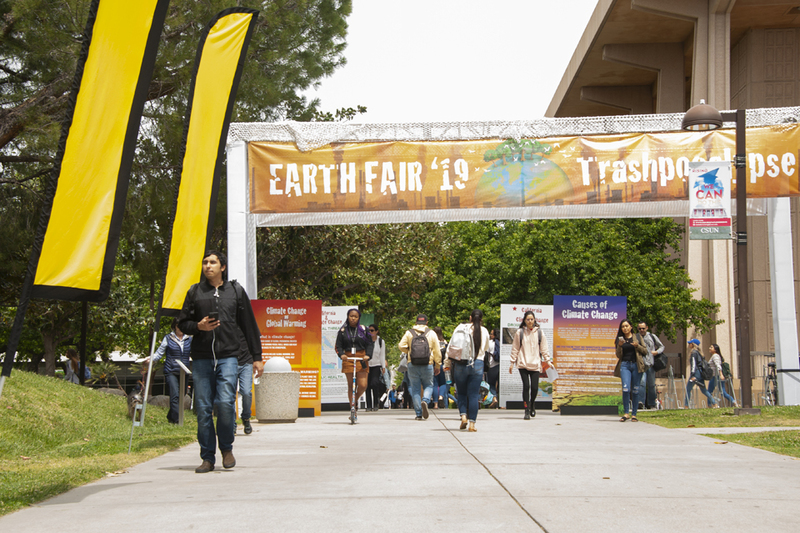 Earth Fair attendees could win prizes such as reusable straws and utensils from CSUN Dining by using their knowledge of sustainability. Photo by David J. Hawkins. Students got the chance to learn about zero waste and sustainability through activities such as placing the waste item in the correct bin. Photo by David J. Hawkins. 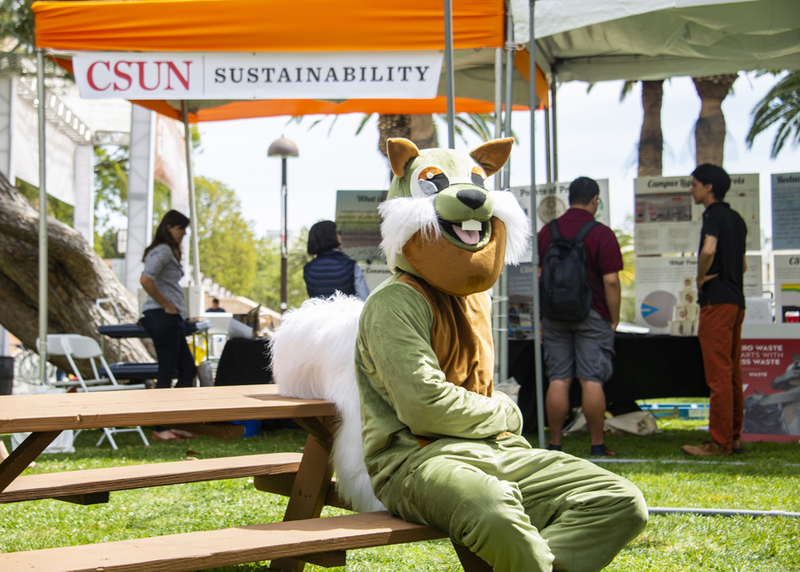 Sunny Squirrel was on hand at Earth Fair for the launch of the #CSUNZero waste reduction campaign. Photo by David J. Hawkins. 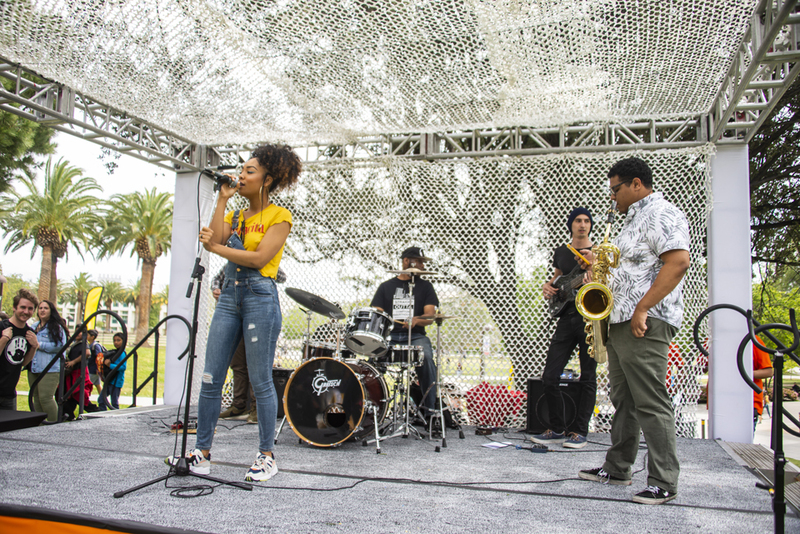 CSUN students, staff, faculty and community members explored ways to be sustainable at the annual AS Productions’ Earth Fair on April 11. Photo by Patricia Carrillo. 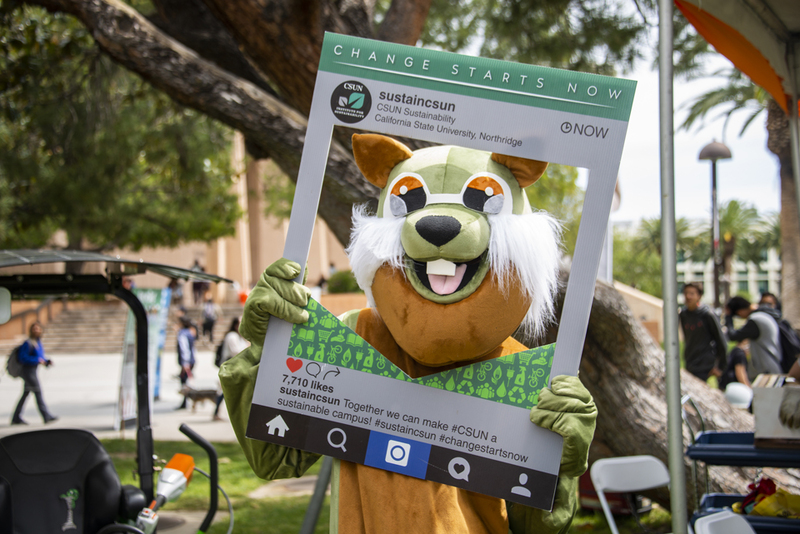 Sunny Squirrel, the mascot for CSUN’s new Zero Waste Challenge, visited Earth Fair to encourage students and staff to pledge to reduce waste on campus. Photo by David J. Hawkins. Earth Fair attendees enjoyed live music and games while learning about sustainability. Photo by David J. Hawkins. Sunny Squirrel visited Earth fair to encourage students and staff to make sustainable choices and reduce waste. Photo by David J. Hawkins. 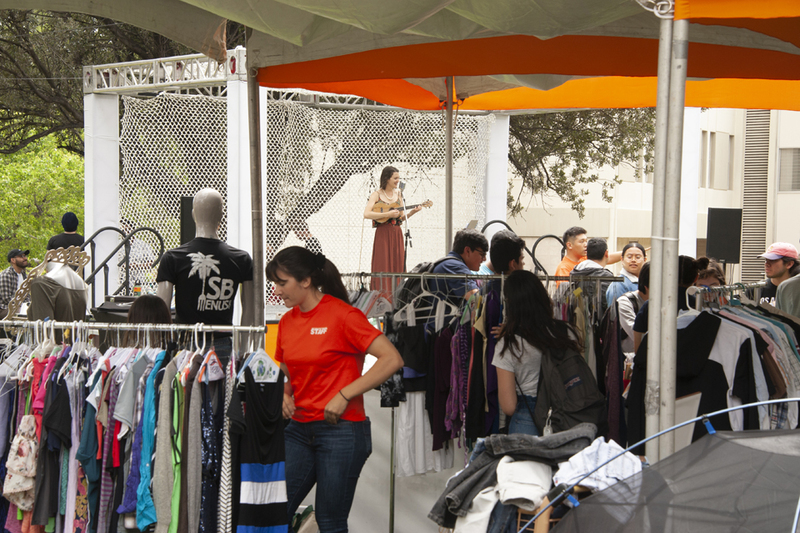 Attendees could shop secondhand apparel as part of the Earth Fair's effort to affect sustainable choices. Photo by David J. Hawkins. 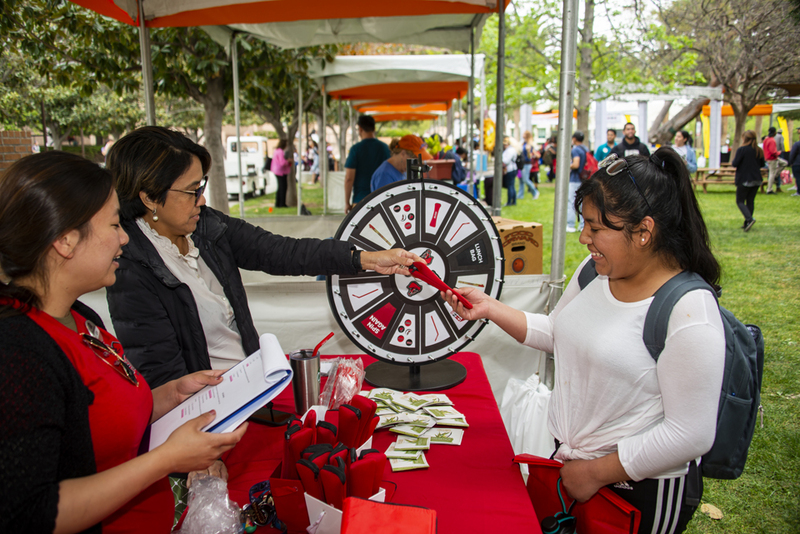 The Earth Fair featured vendors and activities for CSUN community members to learn about sustainability effort on and off campus. Photo by David J. Hawkins. 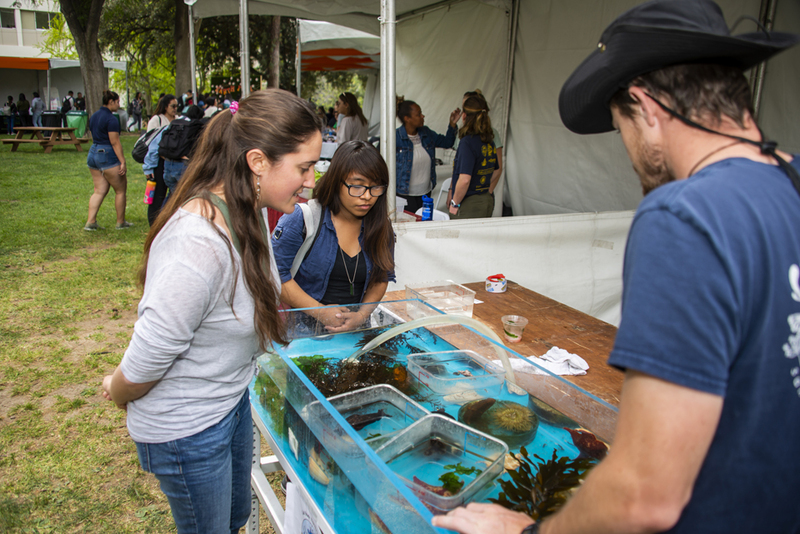 The annual Earth Fair event invited CSUN community members to learn about sustainability effort on and off campus. Photo by Patricia Carrillo. 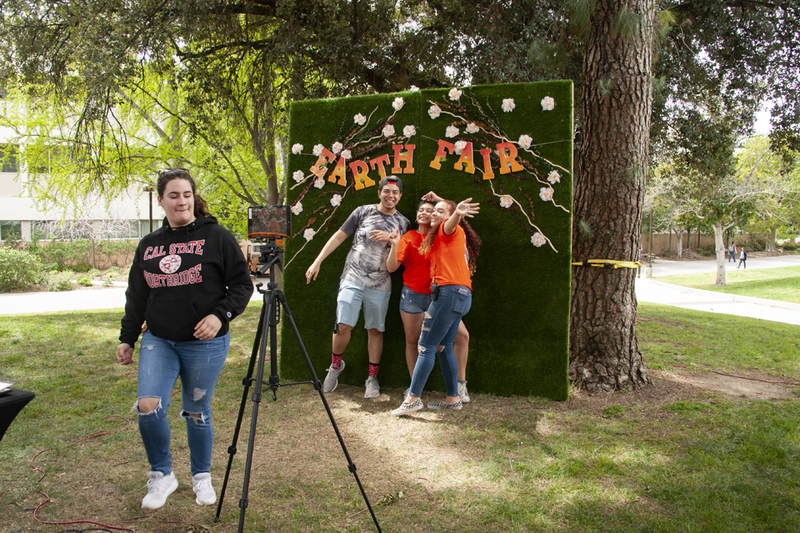 The Earth Fair featured live music, games, a photo booth and more for attendees to enjoy while learning about sustainability. Photo by David J. Hawkins. 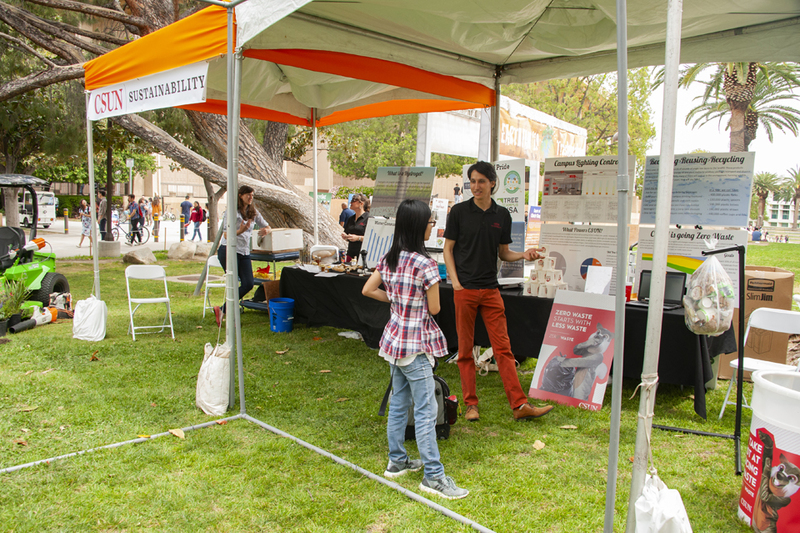 California State University, Northridge students, staff, faculty and members of the community explored ways to be more sustainable at the annual Earth Fair on April 11. The annual event, hosted by Associated Students Productions in collaboration with numerous campus partners including CSUN Sustainability, invited the CSUN community to learn how they can help get CSUN to Zero Waste before the “Trashpocalypse.” Fair attendees got the chance to learn about sustainability efforts on and off campus and how to incorporate sustainability into their daily life, while enjoying live music, games and free coffee from the Groundwork Coffee Truck. 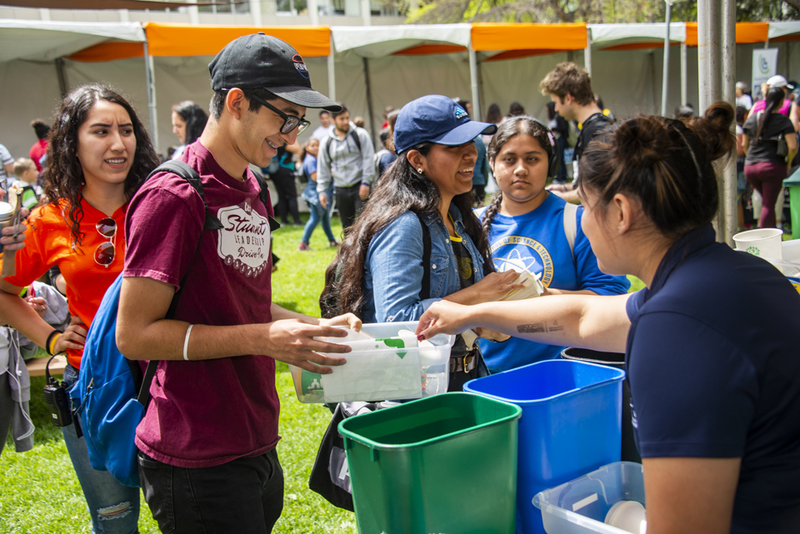 This year’s Earth Fair also marked the launch of the #CSUNZero waste reduction campaign. 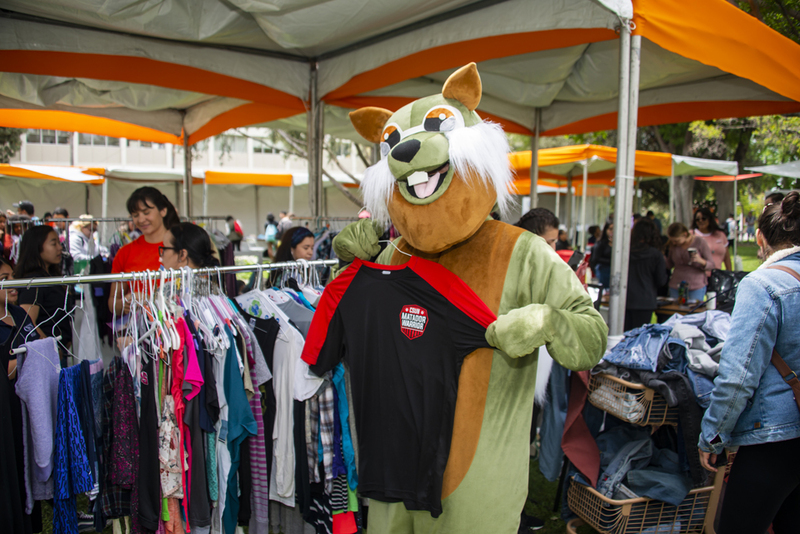 Sunny Squirrel, the hero for CSUN’s new Zero Waste Challenge, was on hand to encourage students and staff to pledge to reduce waste on campus. Students can accept the challenge and learn about ways to be sustainable at the Zero Waste website.